Garage Thinking is a way to accelerate innovation, unrestricted by the demands of short-termism, bureaucracy and limiting silos. Creating more innovative cultures is a big part of my speaking and consultancy work. I was once having a hard time agreeing with a client where they should start this journey, and said flippantly that they might begin by ‘building a garage’! Bemusement was followed by the realisation - theirs and mine - that this wasn’t such a crazy idea. 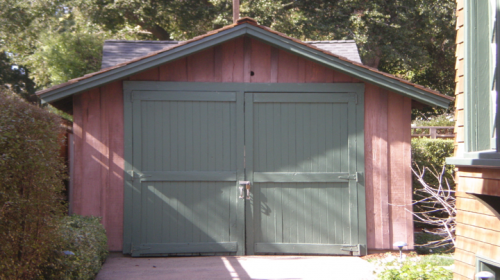 Think of all the great companies that were born, quite literally, in a garage: Amazon, Hewlett-Packard, Google, Oracle, Siebel and many others. It’s still a successful launch pad for innovation: Facebook’s new VR device, the Oculus Rift, was invented by a teenager in a Long Beach, California garage. What’s the magic of this space? Fostering intense, close collaboration that transcends boxed-in, compartmentalised, anti-team thinking - just for a start. And if necessity is truly the mother of invention, a garage doesn’t allow the occupants to become too cosy and comfortable - they want to innovate their exit from these confined quarters as urgently as possible! Garage style thinking is of course what I really meant - a culture of experimentation, intense team-working, risk-taking, urgency, and prototyping – all the essential ingredients for innovation to flourish. However, one client told me they liked the notion so much that they are going to build a bricks and mortar garage in their corporate HQ! Why not, I thought. What I call ‘A Possibility Mindset’ is characterised by a ‘why, not?’, ‘what if?’ response to new ideas. It’s not accidental that the central syllables of the word innovation are nova, meaning openness to the new. But I wasn’t giving architectural advice – rather I was advocating a climate of thinking outside the limitations of business as usual. In other words, thinking as un-usual. While at the same time scanning for or instigating the next wave of disruption. A bi-modal approach, where each activity is essentially one side of the coin. The traditional improvements - doing it better – can be accomplished through more formal, keenly focussed methods. However, the innovative, game-changing leaps - thinking differently – grow in a different kind of soil. Here’s where Garage Thinking comes in. It may start with taking the concept literally, where a team creates their own garage space, one that fosters boundary-breaking thought. Creating the conditions for success is another way of describing this. The space may be physical or on-line and virtual; often the groups I’m coaching are in far-flung geographical locations. Finding the right technical tools to co-create is a vital part of the team’s preparation in setting themselves for success. Whatever it takes, there’s one key element about this space that’s the opposite of most conventional work environments – it should be practically and psychologically silo free. Silos in the mind cramp innovation. Garage Thinking inspires collaboration across disciplines, cultures and locations, inside and outside the organisation. In a world of interlocking alliances it’s often hard to tell who is a contractor and who an employee. Boundaries are blurred and overlapping, as are roles and responsibilities. This is Garage Thinking writ large: everyone does whatever it takes to reach the goal, irrespective of expertise, historical demarcations and job descriptions. So how do you start to build your ‘garage?’ It’s the right question; however, the answer will vary according to your needs and aspirations. In some cultures it’s necessary to build credibility by tackling achievable, less high-flown aims. Alternatively you may have a history of failed innovation initiatives, and need to go for something bold as a symbol or statement that you are taking the implementation of riskier approaches absolutely seriously. You may start out with a healthy dose of creative copying; after all, most so-called innovations on the market are variants or reformulations of something that already exists - essentially improvements rather than mould-breaking. But it’s important to remember that there’s no such thing as ‘best practice.’ There’s only good practice, which you convert into something approaching best practice when you put your individual stamp on it, making it work for your own products, services and customers. By crazy he means beyond received wisdom, which is why it’s called ‘disruptive.’ If you’re not generating this kind of reaction to your ideas, you’re probably playing too safe. You may still be stuck in cubicle or box thinking – the cure can be to simply immerse yourself in the garage space again. IBM CEO Ginni Rometty says: ‘You have to disrupt yourself!’ She’s right, but that’s the hard part. Garage Thinking is designed to help you do just that. Garage Thinking can be delivered as a Keynote, a longer interactive Workshop and a Transformation Programme built around real business critical themes and projects. So you’re sure you want to innovate? The challenge, upsides and downsides. Physical and Virtual spaces that facilitate disruption. Changing the Box - forget thinking outside it! A Culture of Innovation - why it’s everybody’s business. Embedding ‘Garage Tendencies’ in the philosophy and plumbing of the enterprise. Application to real and relevant innovative challenges. Attendees learn a creative and practical language for running their own Garage Projects, large or small. They leave inspired and equipped to generate new and innovative approaches to business and clients.